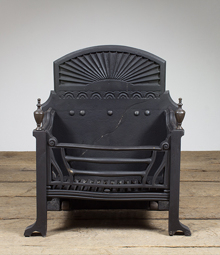 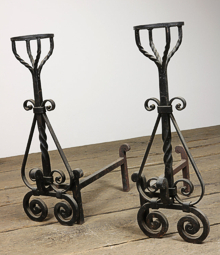 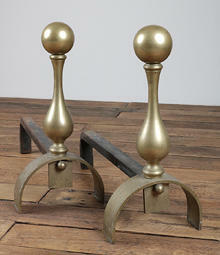 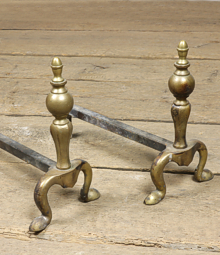 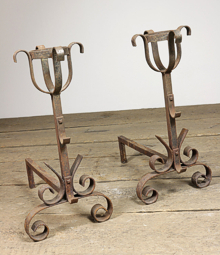 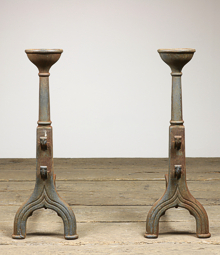 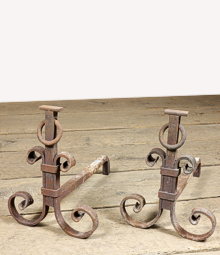 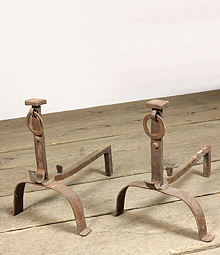 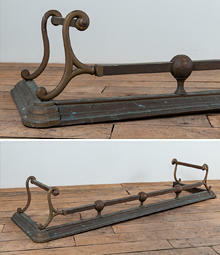 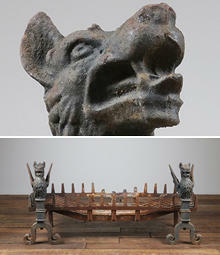 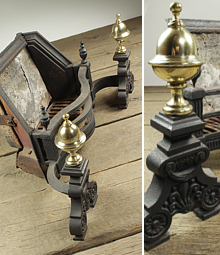 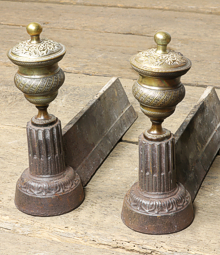 Antique andirons, also known as fire dogs. 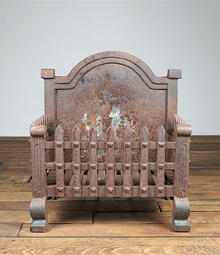 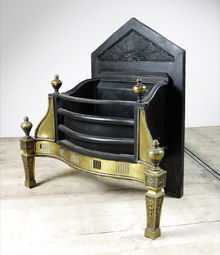 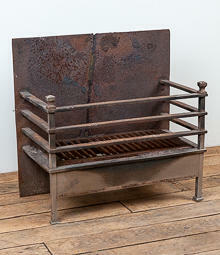 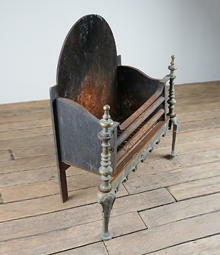 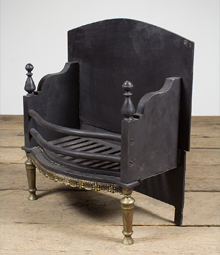 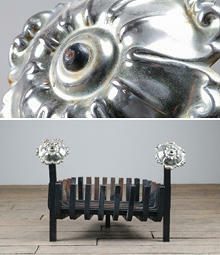 Salvaged fire baskets and register grates- English Salvage. 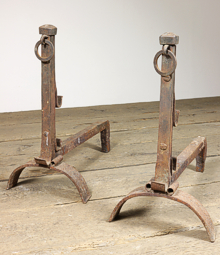 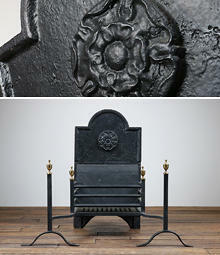 Simple cast iron firedogs date back to Medieval times. 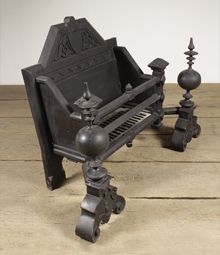 In later years when demand for wood for shipbuilding was high, burning coal became widespread and baskets such as these were developed to hold the coal. 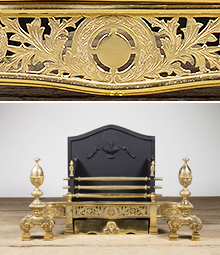 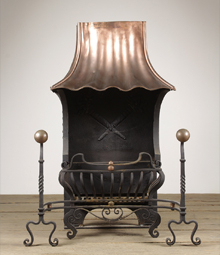 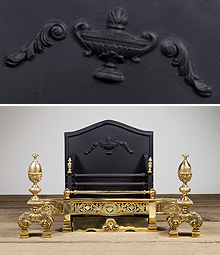 Over time decorations became more elaborate with designs continuing to follow the popular styles of each period.